The Royal Commission into the Protection and Detention of Children in the Northern Territory is seeking an extension from the Commonwealth Attorney-General for the reporting date of its inquiry. The extension has been sought until August 1, 2017 – four months later than the original deadline. The commission says it has has not sought additional funds. “This is now a matter for the Government and no further comment will be made,” says the commission. 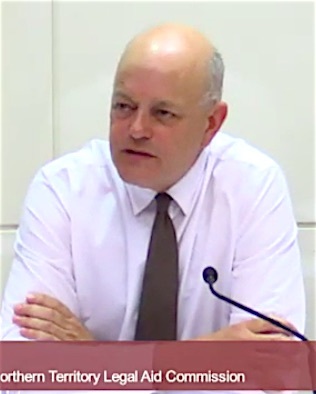 Hearings this month concluded today with evidence from Alice Springs lawyer Russell Goldflam (pictured), the president of the Criminal Lawyers Association. The Commonwealth and Northern Territory Governments have granted the extension.